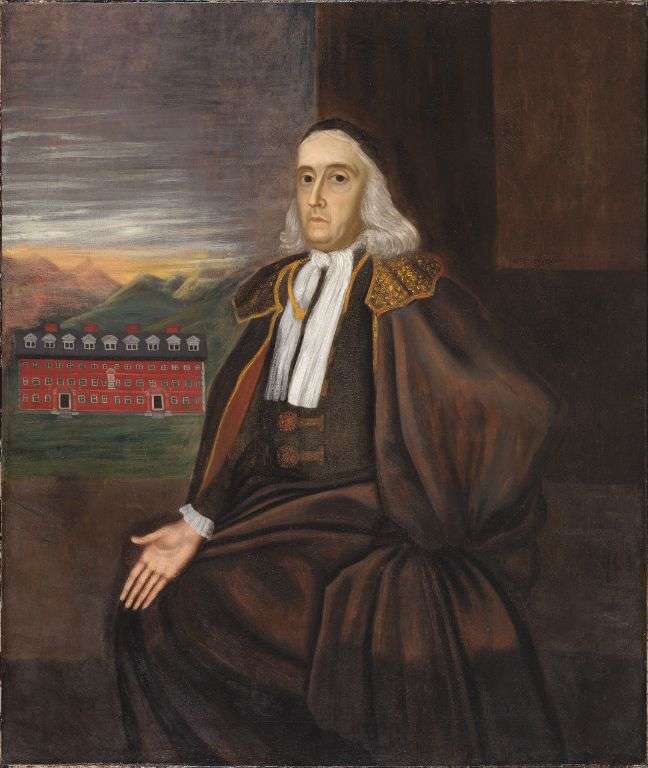 On May 27, 1692, Massachusetts’ newly minted governor William Phips established the most famous court of oyer and terminer ever. Authorities establish a court of oyer and terminer to hear and determine the truth, generally in serious rather than petty crimes. Phips' lieutenant governor William Stoughton headed the court of oyer and terminer and took on the task of dealing with the growing scandal in Salem Village. What followed was the most unusual episode of legal history New England ever saw. In 1692, England and her colonies hadn't quite recovered from the revolution that overthrew King James II in 1688 and began the reign of William and Mary. The new king and queen busily inserted their own partisans into positions of power. And so the influential Massachusetts minister Increase Mather persuaded the monarchs to install as governor William Phips, a poorly educated shipbuilder and treasure hunter. Salem, meanwhile, wrestled with a division of its own that had existed for years. The community, torn apart by multiple factions, could not agree on a pastor. No sooner would one faction choose a minister then the rival faction would undermine him. As the hostilities simmered, townspeople stumbled upon accusations of witchcraft as a useful tool to besmirch the reputations of their enemies. Accusations ran into the hundreds as Phips took charge of the colony. However, the changeover in governance prevented trials from getting underway. Fighting with the Native American tribes was Gov. Phips’ top priority, and he gave Lieutenant Gov. Stoughton responsibility for clearing the backlog of witchcraft cases. Stoughton took the job seriously. One of Stoughton’s earliest, and most significant, decisions was to allow the admission of 'spectral' evidence (i.e. acts carried out by demons that only an accuser can see). 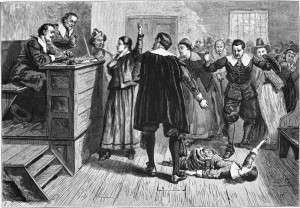 With spectral evidence allowed, Stoughton’s court set about trying and executing witches with was astonishing speed. Stoughton also implemented another rule that moved things along, one that encouraged (or tortured) the accused into confessing that they practiced witchcraft. The court spared those who confessed. Those who would not confess risked death at trial. And finally, Stoughton sent the jury back to reconsider even when it found an accused witch innocent. The jury, for example, exonerated Rebecca Nourse, Stoughton sent them back to reconsider, the jury convicted Nourse and she died on the gallows. 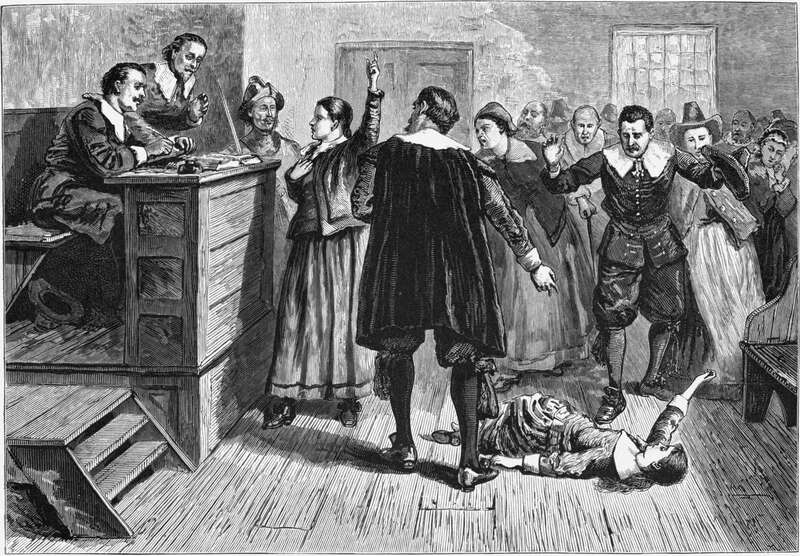 Within two weeks of the court’s establishment, it killed the first alleged witch. Stoughton’s efficiency dovetailed perfectly with the religious leaders’ fervent belief that the devil was attacking the colony. These forces combined to create a powerful killing machine, executing 20 people in just four months with more than 100 prisoners still to try. The slaughter might have continued had Gov. Phips not returned to his senses and put a stop to the lunacy. The bloodshed had finally grown too much for the ministers of the day. They conceded that perhaps innocents were being killed. The ministers urged Phips to act as the allegations continued to fly, including charges against Phips' own wife. In September 1692, Phips ended the court of oyer and terminer, stopping the trials and eventually freeing all the prisoners. In the aftermath, Phips, as did many of those involved, apologized for his actions. Stoughton, however, never publicly admitted any wrongdoing. A life-long political operator, he continued accumulating wealth and political power until his death in 1701. He willed his estate to Harvard College. This story about the court of oyer and terminer was updated in 2018. It’s a shame this ever happened! I believe Phips “returned to his senses” because his own wife was accused of showing signs of witchcraft. Otherwise, who knows how long it might have continued. My ancestor, Susannah North Martin, was one of the victims. I’ve always felt “ashamed” for that part of our History. It shouldn’t have happened.